Note: Images are taken from the Blu-ray disc, not the UltraHD disc. Trying to declare what the best film made by Joel and Ethan Coen is something of an exercise in futility. When you look over their filmography, it's not a matter of there not being enough quality. Few filmmakers have the depth to match the Coens' long list of top titles. The problem is, they have been so diverse in their work and so capable at exploring different genres and tones that to pick, say, a comedy, is unfair to their westerns, their noirs and their thrillers. And even if you narrow it down to a specific genre, they have tackled in a few different ways, each unique and exemplary (well, maybe not each, as their early 2000s output shows.) 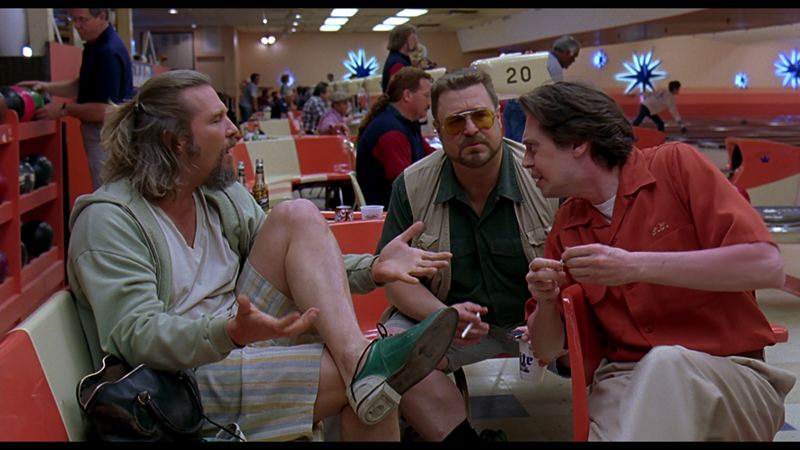 But few of their films have become as iconic, well-regarded and beloved as The Big Lebowski, mainly because it's such a singular film experience, where all the pieces came together to create something audiences hadn't seen before and which sounded like its own specific universe. 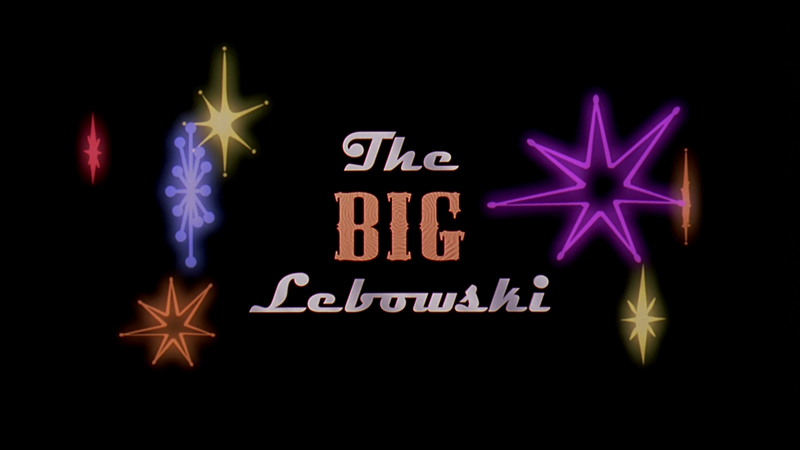 It all starts, of course, with the Dude, played with remarkable chill and personality by Jeff Bridges. There have obviously been stoners in film for decades at the point of this film, but something about Bridges' pot-smoking layabout--who seemingly has no means to support himself, no motivation beyond bowling with his friends and no reasons to stress--feels fresh and special. Certainly, Bridges brings his own charisma to the table, which doesn't hurt, but the fact that the Dude is made up of a number of specific traits--including a love of bowling and White Russians, a hatred of the Eagles and a willingness to express how he feels, rather than just go with the flow like a stereotypical burnout--makes him more of a "person" than a character. The story is a fun twist on the classic world of hard-boiled Marlowe detective plots: the Dude--otherwise known as Jeff Lebowski--has been mistaken for Jeffrey Lebowski, a super-rich philanthropist, by some thugs looking for money owed by the millionaire's trophy wife Bunny (Tara Reid), which led to his prized rug being urinated on. When the Dude goes to the other Lebowski's place for restitution, since it's his wife's fault that his rug was ruined, he gets drawn into a complicated plot involving a ransom payment for a kidnapping by a trio of violent nihilists, which is further complicated when the rich Lebowski's artist daughter Maude (Julianne Moore) gets involved. That the Dude is prodded on by his high-strung, reactionary Vietnam-vet friend Walter (John Goodman) doesn't help matters either. 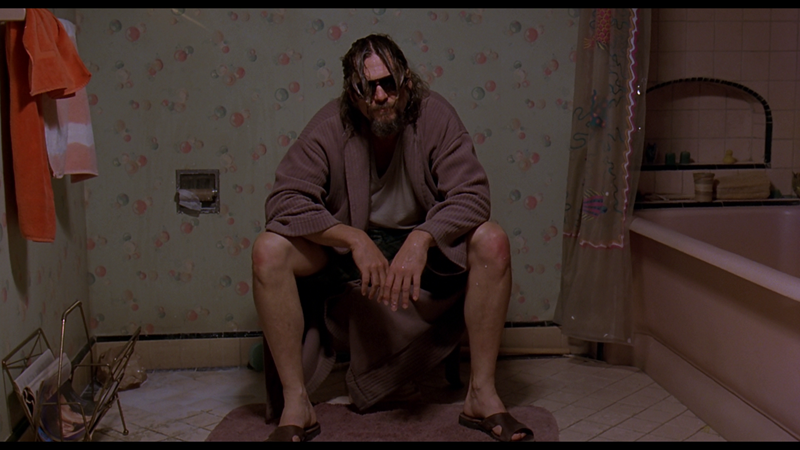 Placing an almost Zen character like the Dude, who relaxes listening to the sounds of bowling and who is generally non-confrontational, into such high-stakes situations with much more excitable and combative people, was a sure thing comedy-wise, but the unique language and imagery the Coens paint the picture with puts it on its own special level as a film. From the involvement of a narrator named the Stranger (the great Sam Elliott) who is also a part of the story, to Maude's affected, unnatural diction to having characters like the nihilists, the Dude and Walter's meek pal Donnie (Steve Buscemi) and a purple-clad bowling pederast named Jesus (John Turturro), The Big Lebowski is certainly not aiming for normal or relatable. Odds are, you've never known anyone like the folks in this film. And the heightened reality they live in makes the story into a fable that allows the viewer to disregard any questions or logic or sense. Things just are and will continue to be in this world. Thus, when the movie breaks off into Aladdin-esque flights of fancy or a Busby Berkeley-style musical number, there's no questioning. You just accept, enjoy and move on. Though the Coens' imagination is the star of the show, without the amazing cast, this film wouldn't be nearly as memorable. Not enough could be said about how Bridges fully embodies the Dude, in a way that was deserving of for more praise and plaudits than he ever received, but he's not alone. Goodman and Buscemi are a wonderful on-screen team, with the testament to their achievement being the power of the final moments in the film, as earned a finale as you could ask for. Of course, Moore is something truly special, the kind of presence that all actresses should wish to someday be capable of, but which for Moore is her average work. Throughout the film there are smaller roles that are no less memorable, including David Huddleston as the film's titular character and Philip Seymour Hoffman as his beaten-down assistant, Turturro's insane cartoon character and Dom Irrera's cameo as a limo driver. Even David Thewlis, who might enjoy the largest difference between acting profile and role size in the movie, makes his mark in a wondrously odd moment with Moore. 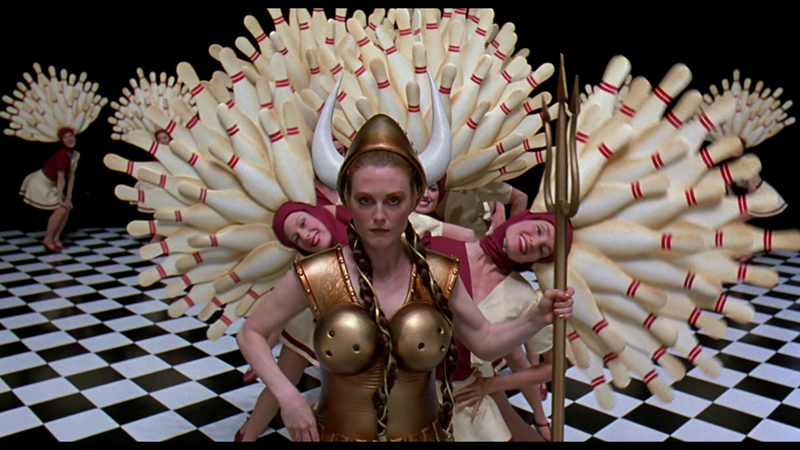 From all angles, including the impressively satisfying mystery at the center of the film, The Big Lebowski is a movie that strikes a beautiful balance between art and entertainment. Far from a guilty pleasure, it boasts the artistry and imagination of the Coens, the skill of a talented cast and the genuine pleasure of an oddball film that is anything but deadly serious, while still being structured and creatively crafted. No one really questions that it's one of the Coens' best films, but it deserves more credit than the "cult hit" label it has been given over the past 20 years. Approaching Army of Darkness levels in terms of home-video versions through Universal's various theme re-packagings, the Big Lebowski gets a 20th anniversary edition--available as a standalone release or in a massive gift set, but either way it's a two-disc set (one Ultra HD, one Blu-ray--the original 2011 Blu-ray disc), packed in a black standard-width 4K keepcase, which, in the gift set, is held in an adorable case-sized version of the Dude's iconic sweater. The gift set arrives in a large clear plastic outer box, about the size of a toaster. The menus offer options to watch the film, select scenes, check out the bonus features (on the Blu-ray) and adjust the set-up. Audio options on the 4K disc include English DTS:X and Spanish, French, Brazilian Portuguese and Japanese DTS Digital Surround 5.1 tracks, while subtitles are available in English SDH, Spanish and French The Blu-ray disc offers English 5.1 DTS-HD Master Audio and French DTS Digital Surround 5.1, with subtitles in English SDH, Spanish and French. The previously released (and also included in this set) Blu-ray disc from 2011 was a bit lacking in several areas, including some own goals when it came to edge enhancement and noise reduction. The 1.85:1 transfer here however, presented in 4K using the HDR10 standard, corrects the sins of the past, even if not everything can be redeemed (effects shots like the Dude flying through the Los Angeles night air remain as obvious as ever, if not more so thanks to the clarity of this scan.) Fine detail shows off the fantastic production design and costuming crisply, colors are bright and deeply saturated (a key to the film's design), shadows are deep and the film's very present, yet pleasing grain is in quality shape. The leap from Blu-ray to 4K UltraHD would have been impressive by itself, but when you compare what the film looked like on its previous disc to this gorgeous delivery, it's like seeing the film anew. The Big Lebowski isn't the first film one would think of when it comes to high-end sound design, but it still benefits from the new DTS:X Master Audio track on the UltraHD disc, which uses the extra spaces afforded by the X mainly to fill out the film's more fantastical moments, and provide some additional atmospherics in the overhead. Other than that, the presentation feels similar to what was a very solid DTS-HD track on the Blu-ray, delivering clean dialogue in the center channel, with some spillover, while the surrounds offer solid discreet placement and movement, bringing in the low-end where appropriate to paint an immersive stage through the sound effects. Music is seemingly ever-present, and gets support throughout the speakers with strong emphasis where appropriate. Overall, the added channels are a nice touch, but they don't feel like a gamechanger on this film. There are no extras on the 4K disc in this set, so all the bonus content in this set is found on the previously-released Blu-ray disc--which means no new extras in this 20th anniversary edition. Up first is "Worthy Adversaries: What's My Line Trivia" an on-screen game played while watching the film. It can be played by one or two players, taking the characters of The Dude or Walter, as the film pauses asking you to complete famous lines from the movie via multiple choice. The challenges are pretty spread out, which makes it less engaging than it might be otherwise, and it misses the opportunity to ask about some pretty memorable lines. A 4:40 Exclusive Introduction comes from Mortimer Young of Forever Young Film Preservation, and discusses how The Big Lebowski was saved from obscurity and given an extensive restoration. It's a cute gag, featuring footage of the "unrestored" film and details on the process. "The Dude's Life" (10:08) features interviews with Bridges, Buscemi, Moore, Goodman, the Coens, and Turturro, and offers an overview of the main character and the people he interacts with, as well as the idea of Zen as reflected in the film and the appeal of The Dude. It's kind if silly to have "The Dude Abides: The Big Lebowski Ten Years Later " in a 20th anniversary set, but here we are. This 10:27 featurette, with interviews with the big names in the film, looks at the movie's legacy, what it was like working with the Coens and the most memorable parts of the film. Though somewhat similar to the previous featurettes, "The Making of The Big Lebowski" is certainly lengthier at 24:35, and has more of the Coens, as they discuss the origins of the film, the characters and the cast. "Flying Carpets and Bowling Pin Dreams: The Dream Sequences of The Dude" could have spent more than 4:20 on the unique and beautiful fantasy sequences in the film, but it's interesting to take a peek at these moments anyway. There are a trio of U-Control add-ons laid over the film. "Mark It, Dude" keeps track of each time the words "Dude", "Man" and "F**k" is said (along with a fourth counter that's purpose is unclear.) 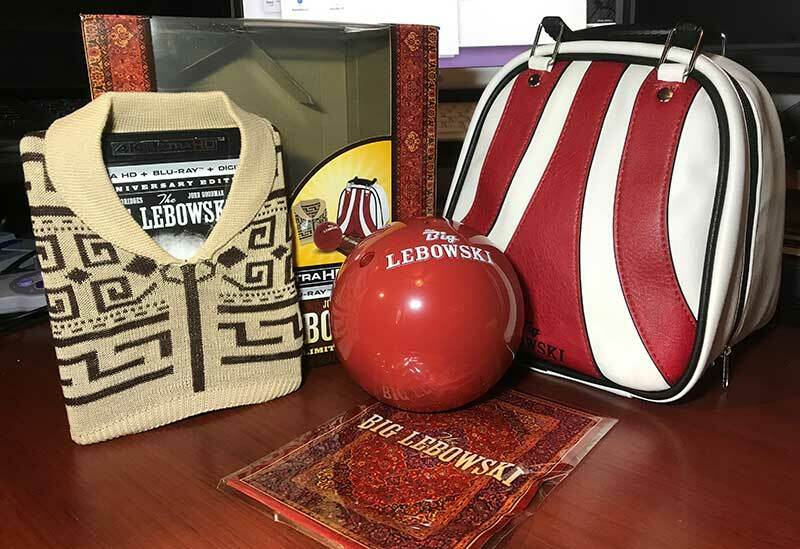 "The Music of The Big Lebowski" provides credit info about the songs in the film as they play, while the third, "Scene Companion", provides background info and insight about the film in voiceover, with inset video offering additional footage. "Mark It, Dude" feels like a novelty you might turn on on your 25th viewing as a lark, but the other two are interesting to check out. An interactive map allows you choose from 14 of the film's locations, including Maude's Loft and Hollywood Stars Lanes, with each represented by a travelogue clip between 30 and 50 seconds long, showing the real-world location of a scene, and sometimes an update on the space (at least, as it was in 2011.) For fanatics it's interesting to get some background on how and where the film was shot. As someone who owns a copy of Bridges' photo book for Arlington Road, I can attest that these gifts he creates following the making of a film are gorgeous, showing off Bridges' artistry and skill with his unique wide-frame panning camera, with handwritten captions adding a personal touch. A 17:30 featurette, "Jeff Bridges Photo Book allows him to walk you through the book he made for this film, with full-screen stills shown. He's such fun to listen to, and the photos are great, so this peek at a book most people will never see is a true treat. It's followed by a 3:25 automatic photo gallery that flips through the photos, if you want to spend more time with them. Wrapping up the on-disc extras is a Bridges-voiced PSA for his main charity campaign, No Kid Hungry. There are also BDLive and pocketBlu features, but I've never met anyone whose used these. In the package, you get a MoviesAnywhere code for a digital copy of the film. 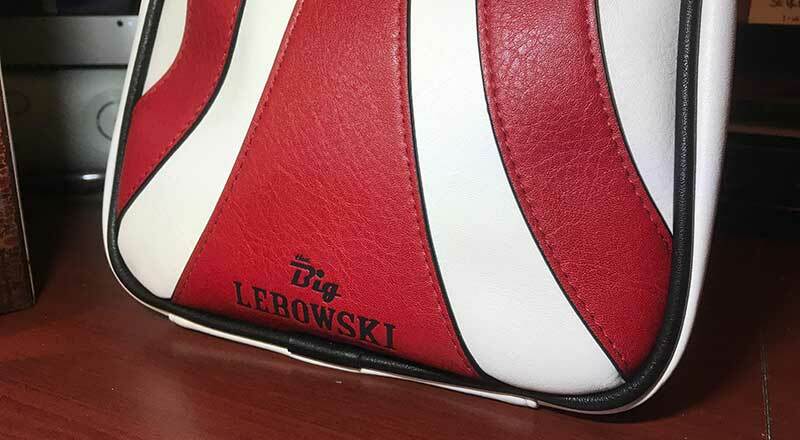 In the Limited Edition set, you get a really attractive scaled-down leatherette bowling bag with "The Big Lebowski" embossed on the outside. Looking at pictures, I expected a small desk nicknack, but it's got some legitimate size to it (the large box that holds it has almost no filler) and to the touch seems well made, making it a very nice collectible. A+ effort for keeping with the theme for all this, but as someone who doesn't display a lot of collectibles in my home, the value is questionable. But for big fans, the appeal is obvious. 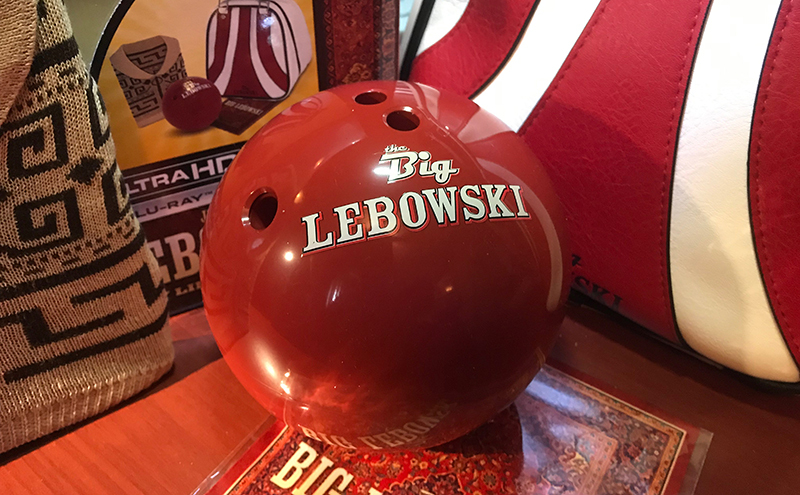 Weird, fun and full of memorable characters and moments, it could be argued that The Big Lebowski is the Coens at the height of their quirky powers, crafting an American fable mixed with a south California detective story, powered by an outstanding cast. The new 4K presentation in this set rights a lot of previous video-quality wrongs, but the lack of any new extras is a bummer for an anniversary edition, even if the Limited Edition does toss in a few physical bells and whistles fans may enjoy adding to their collections. With a number of re-skinned (and now repackaged) high-def releases of this movie to date, this quality-improving release had to make itself stand out somehow, and if a bowling bag does the trick, so be it. For most viewers however, the limited functionality and display value of the collectibles won't make up for the added cost of the gift set, and they will want to pick up the standalone version.